We’re so proud of our wonderful offspring and their family! Very well done, Malou & Rosy!!! 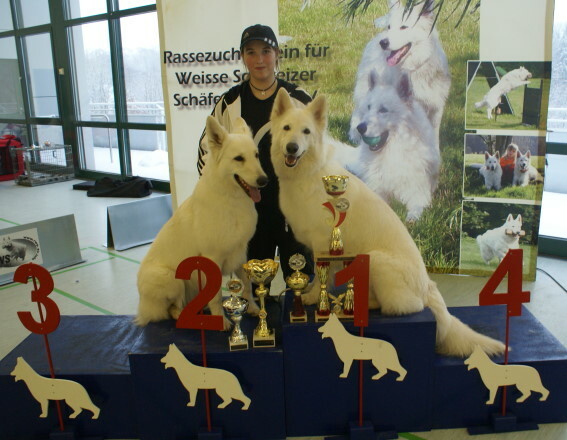 Malou with her two golden girls, Bluemoon (left) and Angel-Naomy and the cups they’ve earned that day. By submitting a comment here you grant a perpetual license to reproduce your words and name/web site in attribution. Inappropriate comments will be removed at admin's discretion.